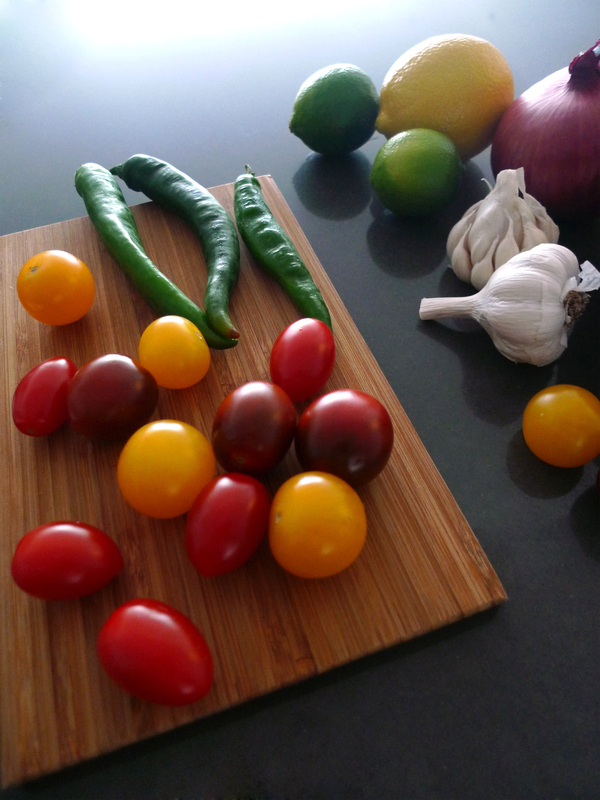 Another staple side dish in our house is a tomato salsa. Why would you buy a prepackaged version when you can make the best-tasting and looking salsa yourself? I decided to share with you a seasonally fresh version with a pleasant kick to it. 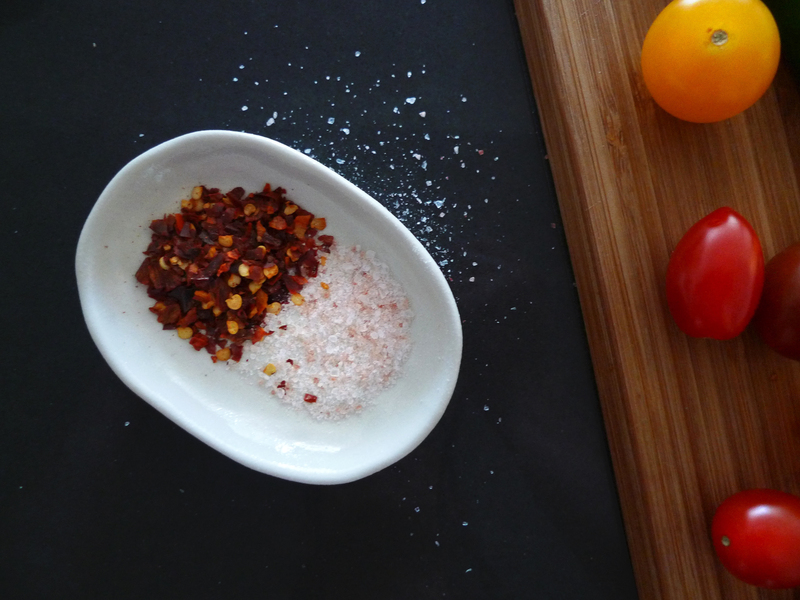 If you don’t want the heat from the pepper, you can omit it or replace with a milder pepper. The trick to a crowd-pleasing salsa is the tomato. Seems obvious right? I prefer using a mix of small tomatoes such as heirloom. Look for a mix of beautiful colours; not just the common red. If you have access to farmer’s markets or organic shops (or are lucky enough to have your own garden), pick the most organic tomatoes you can. The taste of these little guys are beyond anything you can get from the common hot-house grown variety and will make your salsa smell and taste amazing! We have a humble city apartment balcony where Charlotte and her father have, this summer, planted little cherry tomatoes. In only a few months the plant has nearly taken over a good square meter or more of space. Every time the plant is disturbed (either by wind or a curious Charlotte), the smell wafts through the apartment and for a moment, it makes one forget that we live high above the dirt. So in the spirit of our new inner-city garden, enjoy your salsa! Chop all ingredients and mix. This can be done in the food processor, or if chunkier salsa is desired, chop by hand. Add the, juice of lemon, apple cider vinegar and salt. Mix and serve. 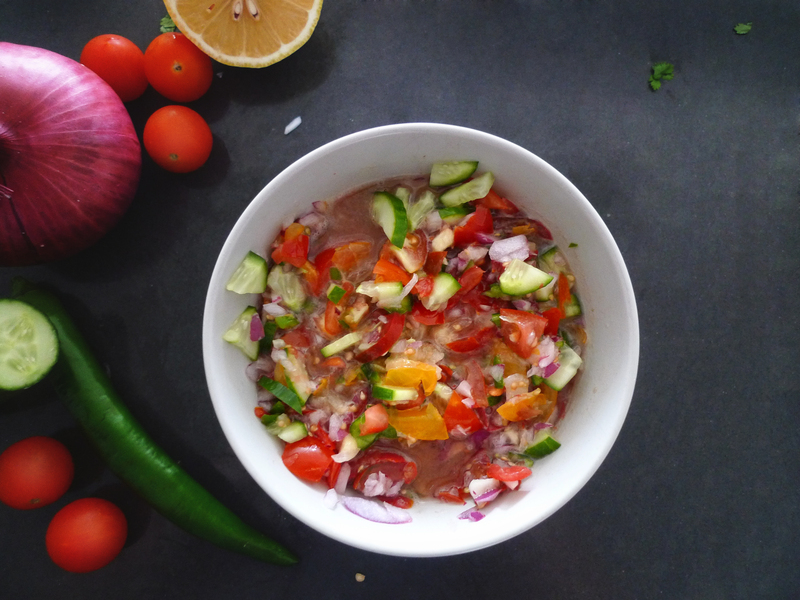 – For a milder salsa, omit the chili.